As you’ve read in our blog on changing customer demand here, you know that the holiday demand is very difficult for distributors to navigate without the proper tools and processes in place. But not only does demand for distributors change – supply is also affected by holidays. This time at the end of the year causes major disruptions for suppliers located in predominantly Christian countries as workers have time off for the holidays. Manufacturers especially pare production operations down to the bare minimum with a skeleton crew – or some shut completely. This is an ideal time of year for plants and refineries to repair equipment and make changes, but production slows down immensely, meaning that distributors who source from these manufacturers and suppliers need to make sure they have enough to cover their demand through the holidays until production resumes. This holiday has a huge impact on UK distributors as 94% of Chinese exports are manufactured goods and many distributors tend to source from China; China is the 2nd biggest supplier (behind Germany) to the UK with total imports of $55.7B in 2016. Overall, it’s an enormous industry between the two countries, and the celebration of the Chinese New Year causes chaos every year. Chinese New Year is the most important Chinese celebration of the year, signaling the start of the Lunar New Year. The holiday starts at the end of January or the beginning of February, depending on lunar calendar, and is celebrated with a 2 week – often longer – holiday for workers. Workers will usually take additional time off as they are away from their families for work the rest of the year. These annual supply disruptions are unavoidable for your supply chain. So how can you make sure to keep your fulfillment rates and customer satisfaction levels high? With huge annual disruptions, at least distributors know that they need to replenish in time to meet their own demand. However, there are a number of variables to take into account. What products will you be needing over the period when your supplier is off? How long is the lead time on those products? Forecasting effectively is a good first step to replenishment. It’s important to consider the different demand types for each product when you’re looking to replenish. It helps to analyze historical demand (these are annual disruptions, after all) to get an idea of what your demand over the holiday will be. Chances are, your supplier is going to be swamped with massive orders from multiple distributors trying to prepare for the holidays. Typically, a supplier will reach out early enough to know what you’ll be needing, but it is up to you to make sure that line of communication is open so that your supplier is not blindsided by a large order they will not be able to fulfill in time. Often a supplier will also not be able to fulfill an entire large order right before the holidays (with so many other large orders to look after), and suppliers tend to prioritize their more valuable customers – which can lead to SMEs getting pushed to the wayside. Understanding the pressure your suppliers are facing will establish a good relationship with your supplier for the future – and possible make you a higher priority for fulfillment. This can be facilitated by sharing order projections with suppliers as early possible allowing them to stock build for pre-shutdown orders by increasing production in the months prior. Holiday periods are hectic enough without scrambling to put together replenishment orders or analyze data for forecasting, so make sure that your supply chain is operating smoothly from start to finish. Whether it’s an ERP or some other WMS, software can help you manage your holiday procurement better from start to finish and get rid of any unnecessary stress. Not only will your speed and efficiency improve, but costs and errors will be reduced. Holidays mean chaos for distributors; don’t make them any more difficult than they already are! Replenishing early, communicating effectively, and streamlining processes are the three strategies that act as a foundation for a flourishing supply chain during holiday disruptions for suppliers. By preparing your supply chain for these drastic disruptions, you make sure that your business will remain operational and trusted by both your suppliers and your customers. 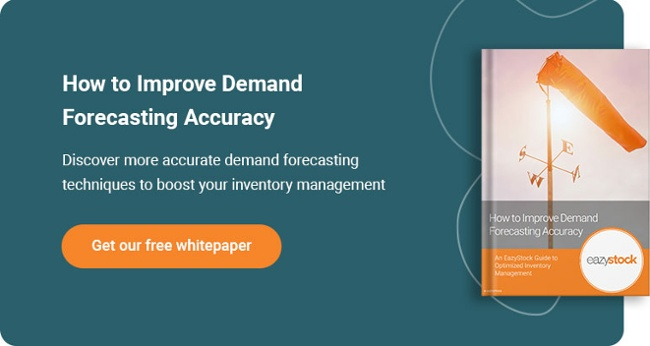 Put these tips into practice, starting with forecasting effectively for optimised replenishment! Download our white paper here to discover 4 ways you can improve your accuracy.